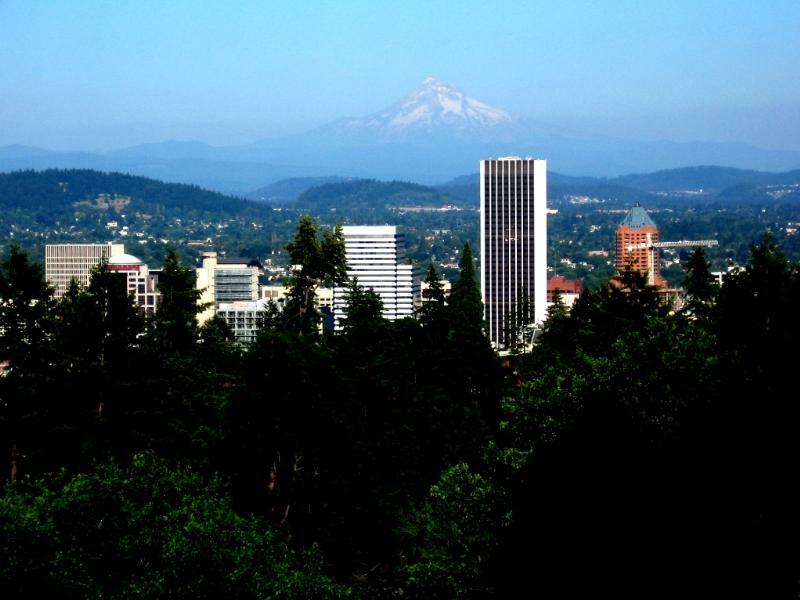 The delightful city of Portland is located at the junction of the Columbia and Willamette Rivers, in the northwestern part of the state of Oregon. It enjoys a picturesque setting near the base of Mount Hood, a snow-capped volcanic peak, just to the east. Portland became a Mecca for “hippies” and other alternative-living Americans, back in the 1960’s, and has retained an avant-garde lifestyle since then. One sees evidence of this heritage in the Portland Saturday Market (under the Burnside Bridge), near the riverfront, and in the dress of some of the locals. My walk begins in Governor Tom McCall Waterfront Park, a lovely, landscaped expanse that runs, roughly, between Burnside Street, in the north, and Madison Street, in the south. Wander around the grounds for a while before proceeding, and be sure to check out the Salmon Street Springs, one of the city’s more spectacular fountains. Exit the park on Jefferson Streetand walk west. Turn left on 3rd Avenue and then right on Clay Street. In this block is the Ira Keller Fountain, a wonderful fantasy of water. Exit on 4th Avenue and turn right, then left on Jefferson Street. When you reach Park Avenue, look for the Oregon History Museum, at 1200 Park Avenue. Exhibits explore the rich history of this pivotal northwestern state. Also enjoy the museum’s huge murals. Continue west on Jefferson Street to 11th Avenue to see the Old Church. Free organ concerts take place here each Wednesday at noon. Now return to 9th Avenue and turn left, walking through South Park Blocks, a lovely stretch of greenery between 9th and Park avenues, which runs all the way to Salmon Street. Continue north on either 9th Avenue or Park Avenue to Burnside Street and turn left. A little more than a mile ahead is the Portland’s premier attraction, Washington Park (keep in mind that much of this walk is uphill). 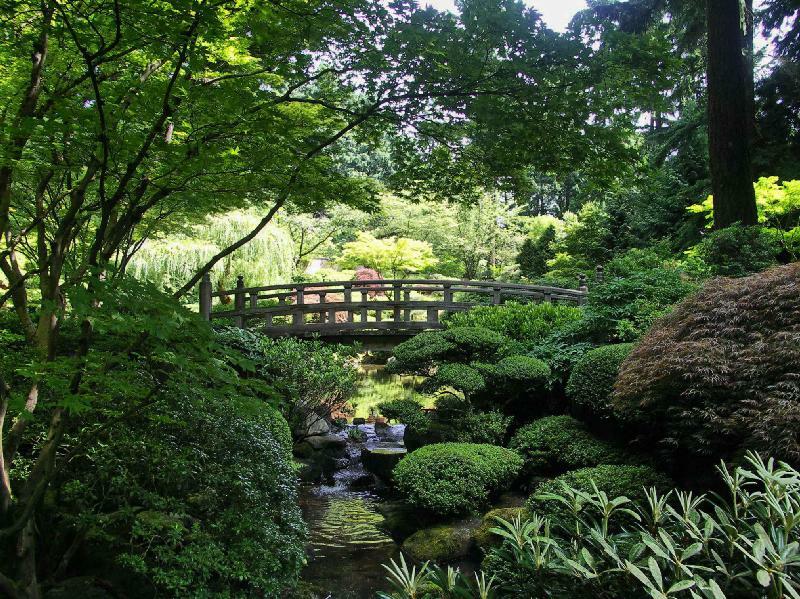 Wander through the immense (130 acres) park, spending much of your time in the International Rose Test Garden and the superb Japanese Gardens. If the weather is good, don’t miss the incredible view from the park toward the city and, beyond, to Mt.Hood. When you leave the park, walk (downhill) east on Burnside Street. When you reach the area of Broadway, you have arrived at the Skidmore/Old Town District. There are numerous shops and restaurants here. At 2nd Avenue, turn right to Ankeny Street. On the corner is the New Market Theatre Building (at #50 2nd Avenue). It has been transformed into New Market Village, a large collection of shops and restaurants. Now walk east on Ankeny Street to the waterfront, where the walking tour began..